Is your car on its last legs? Can it no longer get you from point A to point B? Fortunately, your broken-down automobile is an excellent source of recyclable materials and parts you can sell to help lessen the cost of replacement or to make a small profit. To get the highest return on that investment though, consider removing and selling these valuable auto parts before scheduling salvage car removal in Clare, MI. A catalytic converter is often one of the most sought-after parts of a junked car or truck because it consists of precious metals, such as rhodium, palladium, and platinum. Those metals give the unit an impressive resale value. The catalytic converter is also a critical part of any car manufactured after 1975 since it regulates the number of harmful emissions made from running a vehicle. If your car was totaled, but the airbags remained undeployed, you can make a little money off of those if you know how to remove them properly. 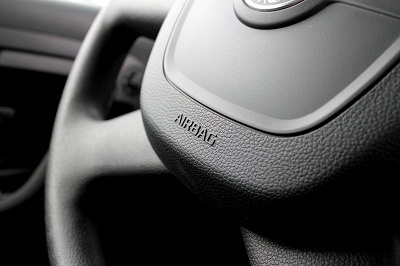 Due to their high demand, unused air bags can go for hundreds of dollars if you, as a seller, play your cards right. In fact, these air bags are one of the top causes of automobile burglaries. Best to talk to someone who knows how to remove them however, especially if you don't know how. An all-in-one stereo and satellite navigation system (GPS) is another top resale item. You may get more considerable value selling for the the individual unit as opposed to salvaging your car with the GPS still in it. But that all depends on the unit’s adaptability to other vehicles. If your vehicle is down for the count, and you need to make a decent amount of money, consider selling your used air conditioning system. Many air conditioner components are in high demand and can be worth something, with the compressor being the most valuable. Many recently manufactured cars feature multilayered bumpers comprised of steel, aluminum, fiberglass composites, and plastic to reduce damage from low-velocity accidents. Depending on the make, model, and year of your car, a bumper in good condition can give you a decent profit. With any of these items, especially those that demand a certain way of removal to not damage the part, it is always best to talk to a professional prior to attempting to remove anything from the vehicle. That way you can find out specifically how to do it correctly, and to maximize your time investment in the removal process. If not, you can always ask around to see who might be able to do it for you prior to getting rid of the vehicle at a neighborhood salvage or recycling yard.